The whole team at Châteauroux is pleased to welcome you to its downtown hotel. Discover the Berry region with its local specialties. 24-hour check-in, hotel car park access via rue Molière. 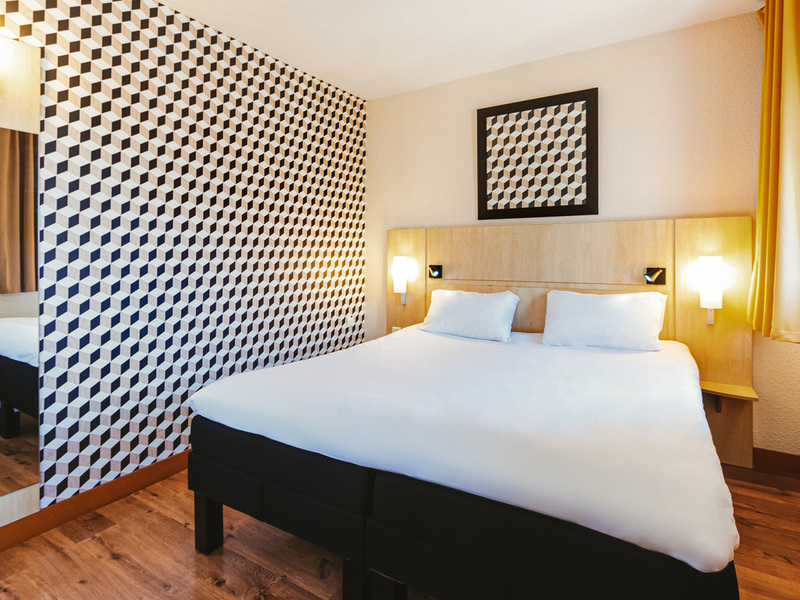 The Ibis Châteauroux hotel is located in the heart of the shopping district, in the town center, 5 minutes from the station. We offer 60 practical and comfortable air-conditioned rooms with free WIFI and satellite TV (French and foreign channels). There i s a private paying underground car park (maximum height 6.6 ft [2 meters]), 3 conference rooms for meetings, a bar and a 24-hour snack service. Located in the city center, 5 min from the station and shopping area. 20 min from the "Le Tarmac" theater, 5 min from the "Equinoxe" national theater, 30 min from the Brenne lakes, 45 min from Château de Valençay and 50 min from the house of George Sand.